Remington Standard No. 2: “Lower Case” vs. “Shift Key”? 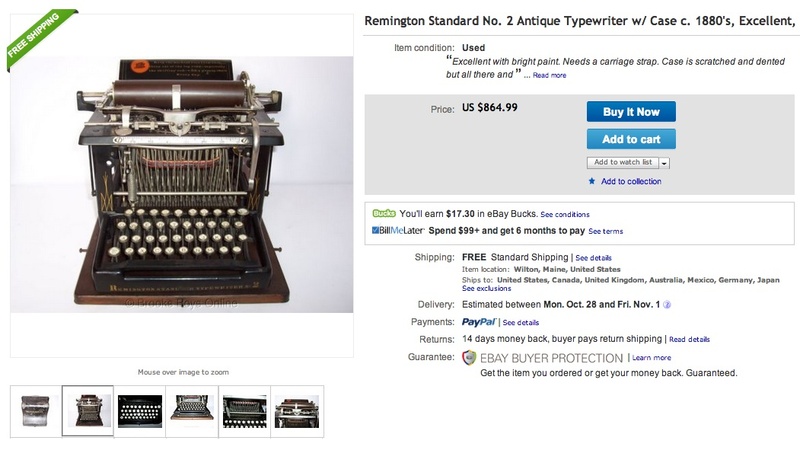 Though $865 exceeds my means, I was impressed to find this Remington Standard No. 2 with case on eBay. The “buy-it-now” listing is found here. Still another No. 2 is offered here — the starting bid price is $500. 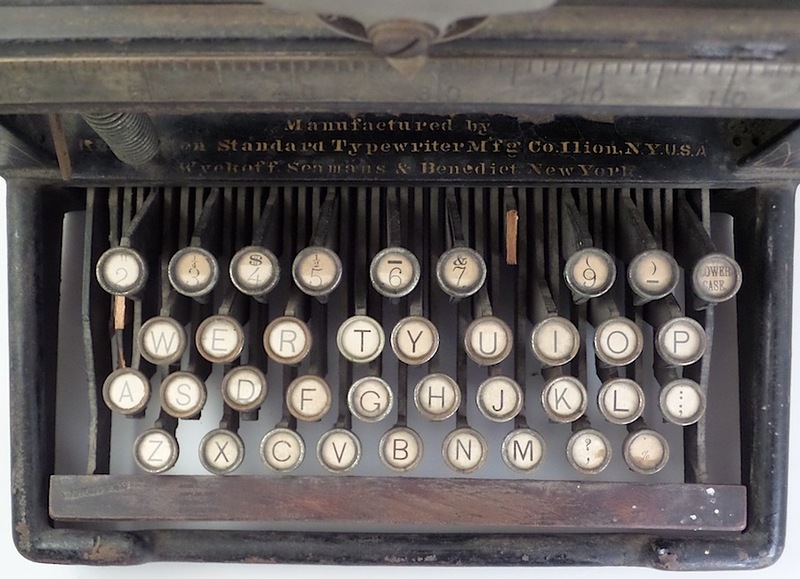 I write about my machine here, offering also the text of an 1888 Scientific American article on Remington. I note that some machines are equipped with buttons reading “Shift Key” and others “Lower Case.” As mine is not operational, I do not know what “Lower Case” means. Did the machine type in upper case, offering lower case in shift mode? Or, is “Lower Case” the same as “Shift Key”? What say the typospherians? Interesting! I’d never noticed the “Lower Case” version. Lower case means small letters. It’s as if capitals were the default setting on these machines. And … no left-hand shift key at all? I’m puzzled. Actually, Richard, the left-hand shift key is missing on my unit. 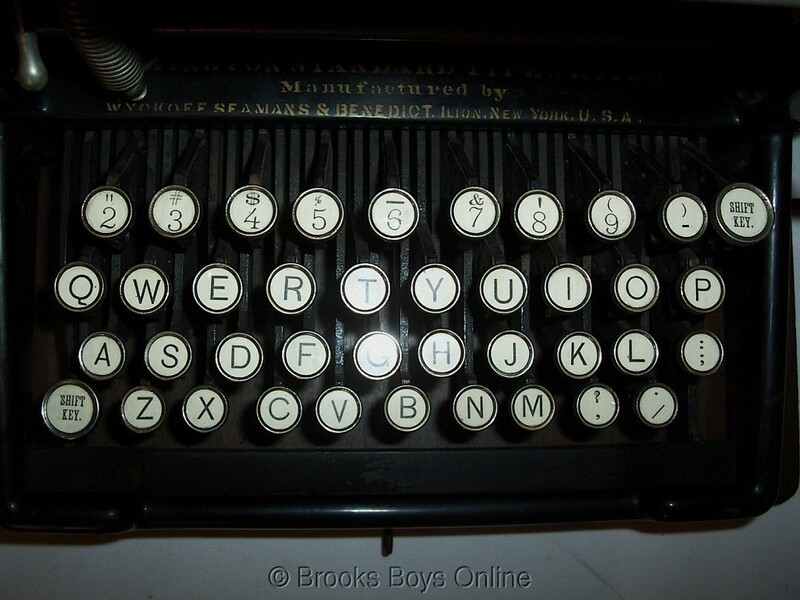 One of the two on eBay has both “Lower Case” keys — http://www.ebay.com/itm/Antique-Remington-Standard-Typewriter-Model-2-from-1878-with-metal-case-/151148160310?pt=LH_DefaultDomain_0&hash=item233121e536. As the Sholes & Glidden machine was an all caps machine, maybe it did not occur to anyone that lower case should be the default mode until sometime later. I wish my unit were working, so I could test this theory. Also, a correction: In the photos, I identified the machines incorrectly, reversing the serial numbers. I’ve now fixed that. My unit is 56,517 (with “Lower Case”) and the other is 88,474 (with “Shift Key”). My thinking now is that the lower key, which is missing on my machine, should read, “Upper Case” — that the operator alternates cases by pressing either “Upper Case” or “Lower Case.” I’ve tried working mine, and it seems that one can lock the machine in either mode, so that neither is the default. The same might be true on any No. 2, regardless of the printing on the shift keys.